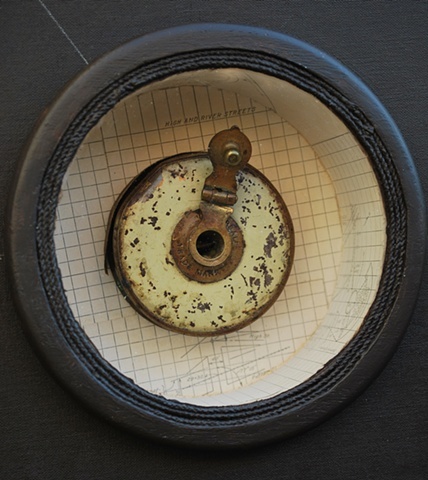 This is a detail view showing the vintage tape measure. 24 1/2" sq. x 2 1/2" d.